No matter how long you have been playing piano/keyboard, you may find that there are just some items that you MUST have. These items can range from the absolute necessary components; to items that aid in your growth, comfort, and ability; or just things that one might not readily think of to add more comfort and fun to your playing. While it can be said that a lot of purchases related to one’s musical instrument are often quite unnecessary and often do not improve skill level, there are certain items that are absolutely essential. Here is a list of the most essential accessories for piano players that will not only help to improve skill, but ensure comfort and enjoyment in playing the piano for many years to come. A sustain pedal is one of the most essential items every keyboard/piano player should have. In practice, the pedal acts like it would on a traditional classic piano: it sustains the duration of each tone played while the pedal is pressed down. Sustain pedals come in different shapes and sizes, but they all primarily function in the same manner. Some are shaped as they are found on upright and grand pianos, while others are square and compact. Mostly all sustain pedals for a digital keyboard work by a spring mechanism (which can tend to become squeaky and creaky, as well as also losing some spring tension). **One note about sustain pedals before you set about buying one….Some sustain pedals may not be compatible with your keyboard due to the pedal operating at different polarity than your keyboard. Be sure to check to make sure the keyboard and sustain pedal have the same polarity. Some pedals have a polarity switch, making them universal. If you have a reverse polarity sustain pedal, the pedal will work in reverse: notes will sustain automatically until you press the pedal down (if the pedal works at all). The M-Audio SP-2 Sustain Pedal is a very viable and practical solution to your sustain pedal needs. Stylized after a traditional sustain pedal on a grand piano, you will find this pedal will suit your needs with the pedal’s easy to use, straightforward design. A polarity switch is also included on this unit, ensuring universal cooperation between the pedal and any keyboard you may decide to plug it into. A piano bench is an obvious necessary accessory to any piano or keyboard. 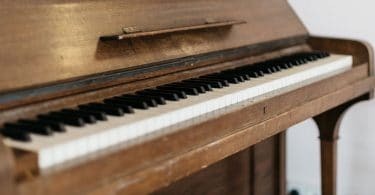 While you don’t have to shell out a whole lot of cash for an effective piano bench, it should be noted that you will be spending most, if not all of your time, on the piano bench whilst playing the piano. A good bench will allow a pianist of any skill to play at the right height, and allow the player to be comfortable while also maintaining good posture. Make sure that the seat you choose has optimal cushioning for your comfort. Confirm that the bench/seat has height adjustment options to suit your height and preferences. Test the bench to see how far you have to reach your arms out while playing. Aesthetically, you may want to match the bench to your piano or keyboard. Analyze whether the bench is ergonomic enough to meet your storage/portability needs. Keyboard benches come in a variety of different styles; it is best do your research in order to find the proper bench that suits your needs. Some benches offer adjustable knobs that raise and lower the seat of the bench, allowing for anyone to set the bench at their ideal height. The Yamaha PKBB1 Adjustable Bench is a great choice for any keyboard/piano player looking for an effective piano bench at a reasonable cost. This bench features the ability to adjust the bench between 17.5-19 inches, while also remaining highly portable. For the portability alone, it makes a great purchase for any musician. A metronome is a vital piece of gear that belongs in EVERY musician’s toolkit. A metronome is a tool that keeps perfect time, and allows the musician to play and practice a piece or phrase at any speed. This is an essential element for any student or player looking to improve their skill. Currently, metronomes can be found as a digital application on most smart phones. However, it is generally thought best to have a dedicated metronome, thus eliminating the possibility of any distractions that may arise from the use of a phone. With that being said, dedicated metronomes come in a variety of styles — from battery-free wind-up clicking metronomes, to full on battery/PSU-powered units that offer variations of rhythmic styles (such as salsa, or bossa nova). While you can spend a pretty penny or two on a metronome, it is essential to remember that, extra frills and additions aside, a metronome’s sole purpose is to keep a beat. 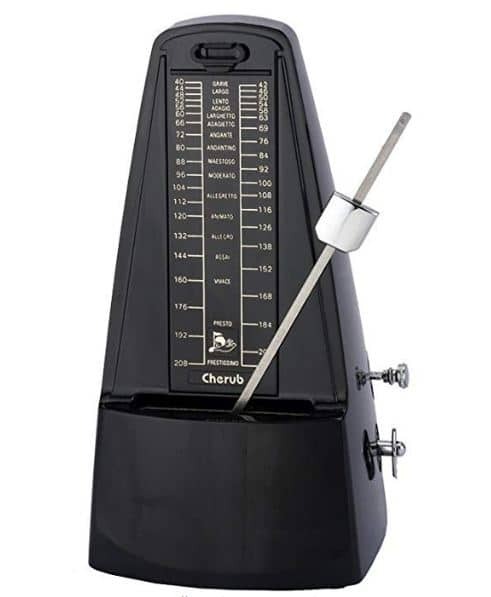 This pyramid shaped mechanical metronome by Creatov Designs is a solid choice for any pianist. The mechanical function means that the metronome is powered by a manual wind-up mechanism instead of using batteries — making this (plastic aside) an eco-friendly choice for the conscious consumer. Additionally, the grade of BPMs is accompanied by each individual corresponding tempo name and range. A piano stand is one of those vital and necessary digital piano accessories for any keyboard player that wishes to play their keyboard anywhere, and on anything but a table or a desk. 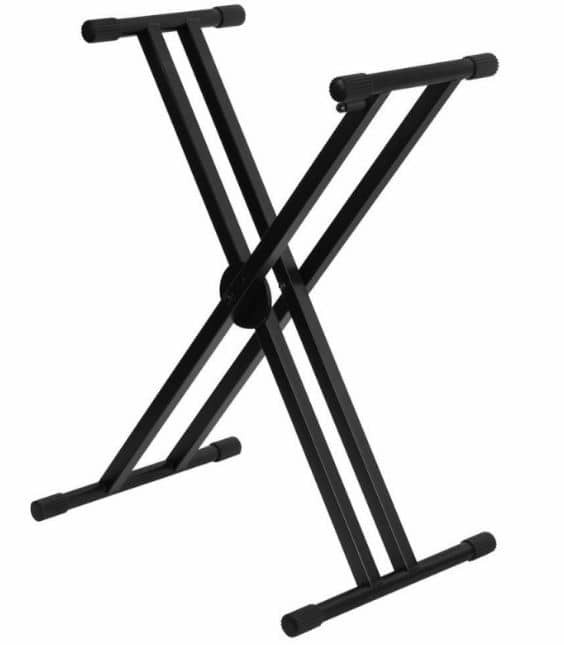 Like most products, there are a few different kinds of varieties of keyboard stands to choose from. A few things to keep in mind are: height and adjustability options; portability; storage; weight and awkwardness (especially folded); durability (especially if you are a gigging musician); and, if you have multiple keyboards, perhaps a tiered stand is an option you are looking for. The On Stage KS8281XX Keyboard Stand is not only an excellent choice for the every day keyboard player, but especially the gigging musician. While some less expensive options are perfectly suitable for most people’s needs, this frame is built with durable construction. It features an adjustable double-X frame, ensuring that your keyboard is on solid foundation, while also being able to withstand the rigors of being played on regularly. A good piano light is a very invaluable tool that you will aid you in being able to visually see your music, as well as the keyboard, sufficiently. If you have never had a dedicated lamp for the sole purpose of your piano or digital keyboard, consider treating yourself to this amenity that may have you never looking back. For upright and grand pianos, consider using a standard desk lamp with an elongated bulb and an adjustable neck/head. This is an effective light to have shine downward on the music, meaning you won’t have to worry about shadows obscuring your sheet music and notes. For a more portable option, consider a slight alternative to the desk lamp. Portable lights of all shapes and sizes exist everywhere. It is recommended that the light have a clip for ideal lighting angles, as well as a proper lighting array area so that all of your music is easily visible. While reading sheet music is an excellent way to become a competent musician, a musician should also spend an equal amount of attention and effort developing their ears. Before computer technology, musicians had to listen to recordings repeatedly in order to learn songs and licks. The problem was, in order to slow down the music on their record player, the music would also change pitch, in addition to having to manually set the needle for each repetition. Fortunately, today there exists software that allows one to slow down a recording without having to sacrifice pitch. Some software, such as Seventh String Software’s “Transcribe!” will let you create section markers, create loops within the song, manually EQ for instrument isolation, as well as the handy function of exporting a selection of the song as a new song. This is an incredible tool to have in your kit that will help your skill level grow immensely. Along with transcription software, recording software is an invaluable tool for not only growing your skill level, but also expanding your network and community. The ability to hear yourself objectively is something only possible through the use of recording software. Many options exist for one interested in this. There exists software (from Free to $$$) as well as field recorders and multi-track recorders that allow you to record without having to use a computer. The route you choose will depend heavily on a few factors including: cost, and purpose (are you building a studio, recording demos, or just loose ideas?). 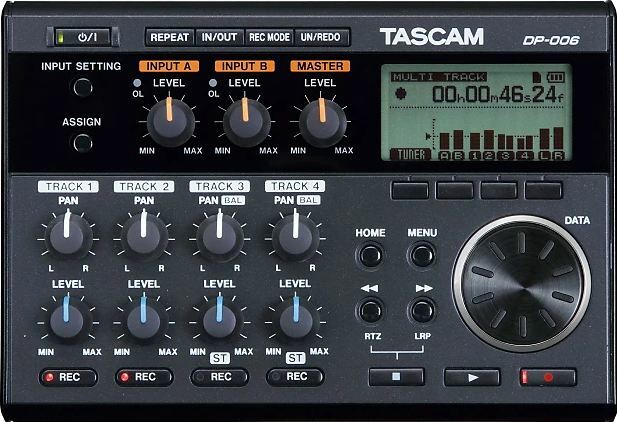 The Tascam DP-006 is a great choice for a dedicated multi-track recorder. This model comes with two 1/4” input jacks, two on-board multi-directional condenser microphones, and comes equipped with the ability to record up to 6 separate tracks per each recording. In addition to a power supply, this unit can also run off of batteries for extra portability. For any musician and music-lover alike, headphones are a requirement. While headphones come in different styles, from earbuds to can-style, it can be agreed amongst all users that sound clarity and definition, with high performance at all ranges of volume, is ideal. While earbuds may be more ergonomic in terms of practicality, they can suffer from clarity and comfort issues; whereas can-style headphones tend to offer better sound quality, including sound isolation, but at the cost of bulkiness. Though can-style headphones can be more ideal in terms of comfort (subjective to the user, of course), they can get pretty disgusting from sweat after a long while (years) of loving use. While earbuds don’t have that sweat issue, they can become quite uncomfortable in the ears after long bouts of use. The style of headphone you choose all comes down to personal preference and intention. If you are just using the headphones to practice or listen to music, not much money is needed to acquire the proper set. However, once you get into the realm of recording, as well as the pursuit of the highest quality listening experience a set of headphones can offer, the prices obviously start to increase. 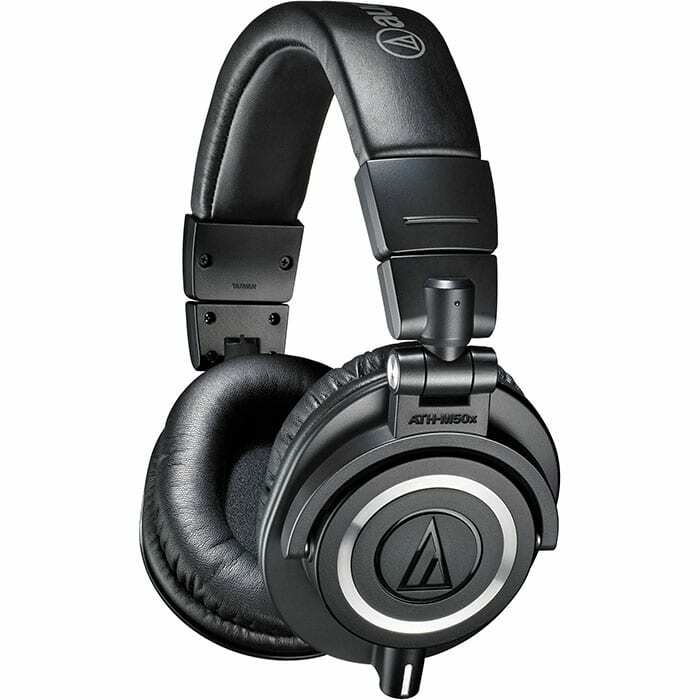 The Audio-Technica ATH-M50x headphones are a great choice for any musician or music-lover alike. Considerably affordable for the quality, this is an excellent studio-grade pair of headphones for anyone concerned with sound quality and definition. The headphones sit comfortably on the user’s head, offering an adjustable headband to really dial in the comfort. Also included in the headphone’s construction are 90° swiveling ear cups for extra portability and space-saving functionality. The headphones also come with 3 different detachable cables, a protective carrying case, and an 1/8”-to-1/4” cable adapter. For an accessible, affordable price, these headphones are an obvious choice for anyone looking to fill their headphone need. A sheet music stand is an item that belongs in the “necessary piano accessories” category, especially if you read sheet music or regularly have notes on hand during your practice or performance. A good sheet music stand is invaluable, especially one that is stable, durable, and has the capacity to hold a decent amount of material. 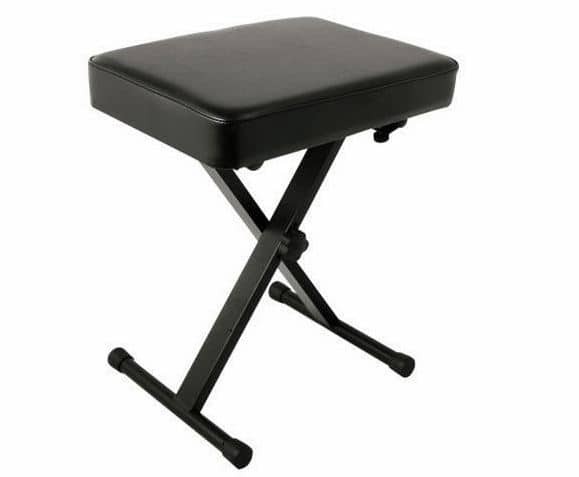 Some music stands are highly portable, allowing the user to fold the stand up into a small size, though sometimes at the cost of sturdy durability. However, it must be said that any stand is better than none, especially when you need one. Of all music stands, this is THE music stand by which all other music stands are judged by. 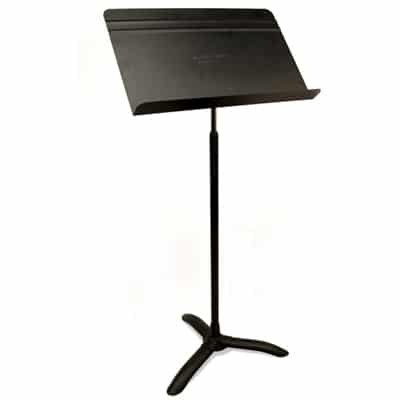 This music stand is the standard that a large number of schools, orchestras, bands, and other musical groups use on a regular basis. While this stand is not collapsible, the user can be assured that they will not have to worry about durability issues. Upon first encounter, one will notice the high quality with which this stand was made: using high grade materials to build a steady stand with just the right amount of weight and balance. This stand also features a full, straight back, instead of the open-air holes or gaps that may allow for wind or other occurrences to blow/knock your music and notes on the floor (styles that can be found on other styles of music stands). Every musician’s worst nightmare is being stuck in a situation, especially a gig, where gear malfunctions and you are left with a slim-to-none amount of options to keep your head above water. For the gigging musician, these types of scenarios are very real, and are something you should prepare for, as they will inevitably happen (yes, even despite your best efforts at keeping up with gear maintenance). Having a back-up power supply for your keyboard is one of the smartest things a pianist could keep in their kit. For the daily player, a power supply may wear out after a good amount of use, especially if one plugs/unplugs/and stores their power supply frequently. Unfortunately, there is no way of telling when these moments will occur. Perhaps the cable may come detached from the main housing unit, or you’re in a venue that has an inconsistent power flow. The possibilities are endless, but having a backup power supply can help insure yourself against these kinds of moments. Along with the previous points made with Essential Item #10, having extra cables on hand is a smart safe-guard for every musician that plays regularly. Though at times there are signs when a cable is going bad, it is often very difficult to discern when exactly a cable will die. To maintain utmost professional standards, keep a few extra speaker and instrument cables of various sizes on hand. You will never know when you may need a couple extra to accommodate for unseen circumstances (often at gigs or jam sessions). While it can be a little costly to go the extra mile and insure yourself against bad luck, there is no excuse for not holding yourself accountable as a professional musician. For the gigging and recording pianist, a DI box is a necessary item. This is a tool that allows you to plug your instrument straight into a PA soundboard/studio soundboard, and corrects any mismatched signal impedance that may exist between the instrument and the sound system/studio electronics. A DI box will also assist in making sure that your instrument retains clarity in the transfer of sound data from the instrument to the speaker/soundboard. 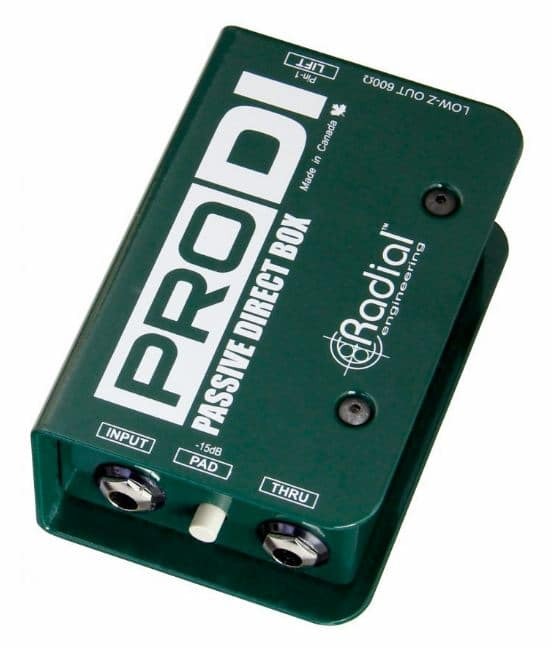 The Radial Pro DI Passive DI Box is one of, if not THE best direct boxes one can buy at the $100 price range. They are built with a solid design, are reliable, and hold up without any audible external noise interfering with the signal. DI boxes are relatively simple in design, and this one is no different, remaining exceptionally simple and easy-to-use, and guaranteeing that you don’t lose signal or sound quality in the process. For the gigging musician, an amp is one of those accessories for piano players that you really shouldn't do without. There will be times where you may not be able to count on the person running sound at a gig to make you sound the way you need. There will also be times where you may be playing in a venue in which it makes the most practical sense to run your keyboard through an amp instead of a PA system. For these instances, an amp and an amp stand (though not necessary) are vital pieces of any pianist’s rig. Amps are manufactured to operate by the use of different technologies. Some amps are tube-driven; some are solid-state; some are a combination of tube and solid-state technologies. Tube amps tend to distort once the volume is beyond a certain level, while solid-state tends to remain clean unless external effects are applied. Many gigging keyboard players have great success with smaller 30W 1x12 (1x12 meaning one-12” speaker) tube combo amps, preferring the tone of tubes over solid-state. Do your own research and try out a number of used amps at your local music store to see what sounds good to your ears. An amp stand is often used in combination with an amp as it lifts the sound off of the floor, and directs up into the air, and away from the audience’s face (if you’re on a stage). The sound is only slightly noticeably different with and without a stand. Having an amp on the floor generally tends to produce more bass-y tones, where lifting or tilting the amp directs the sound in an arc, allowing for a better blend of frequencies. Tilting/lifting the amp on a stand also makes it easier for you to hear, as it is more pointed toward your ear; this in turn can allow for quieter stage volume if other circumstances will allow it. 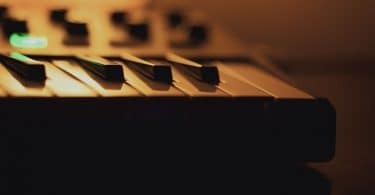 After reading this list, hopefully you have a better answer to the question “What piano accessories should I buy?” It can often be overwhelming at times to keep up with the amount of things a pianist needs to have in their arsenal. However, with proper planning, you can ensure that you have the necessary items you need in your tool-kit to add ease and comfort to your playing, and help you to continually grow as a musician. Many of these items will last you many years, if not a lifetime.